Wow! It’s been a long time since I posted. Life happens. Since I last posted, I’ve gone to work for a great company called Medtronic. I still have my hypnosis practice, but, as many small business people are discovering, the pace has slowed. Besides, it’s really time for me to be thinking about retirement and savings. Not that I ever think I will, but it’s still good to plan. Which brings me to the topic of discussion today. Animal Guides. I’ve written about them before. Getting in touch with your animal guides is a great way to discover unexplored aspects of yourself, in my opinion. In my own case, I spent the past year exploring the possibilities of doing freelance writing from home in addition to my work as a hypnotist. It was a great year for sun tans, since I would walk my dogs in the mornings. But I definitely wasn’t saving any money for the future and no health bennies either. As my savings and peace of mind began to dwindle, one of my students did a hypnosis session for me to get guidance from my higher self. A shark showed up in the session. Hmmh, I thought. Sharks don’t typically represent anything GOOD, in our culture. So we got out my trusty Ted Andrews’ reference books on animal totems (Animal Speak and Animal Wise.) Lo and behold! Sharks teach us how to keep swimming in difficult times. SHARKS DON’T FLOAT. Wow! As always, that message was exactly what I needed to hear, exactly when I needed to hear it. I took the job offer at Medtronic and have been happily swimming along ever since. Dogs as totems (see photo of my girl, Prissy) generally indicate a need for loyalty and companionship. Research the specific breed for more details. 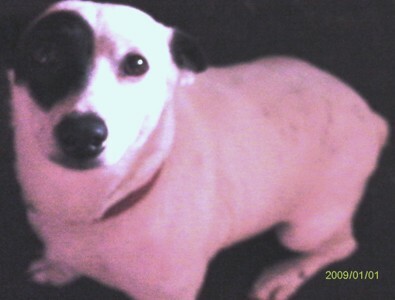 For example, a Jack Russell may mean you’re being too aggressive or not aggressive enough. To discover your own current animal guide(s), take yourself on an imaginary walk through the forest, come around a bend in the road. What animal do you see coming towards you? What message do they have for you? Then go look them up in Ted’s books for more information. Join Us for a Christmas Drop-In and New Office Warming!